The Osher Clinical Center is located in the Brigham and Women’s Health Care Center at 850 Boylston Street on Route 9 East, in Chestnut Hill, Massachusetts, one mile east of the Chestnut Hill Mall. Free valet parking is available on site. The Center can also be reached by MBTA bus #60. 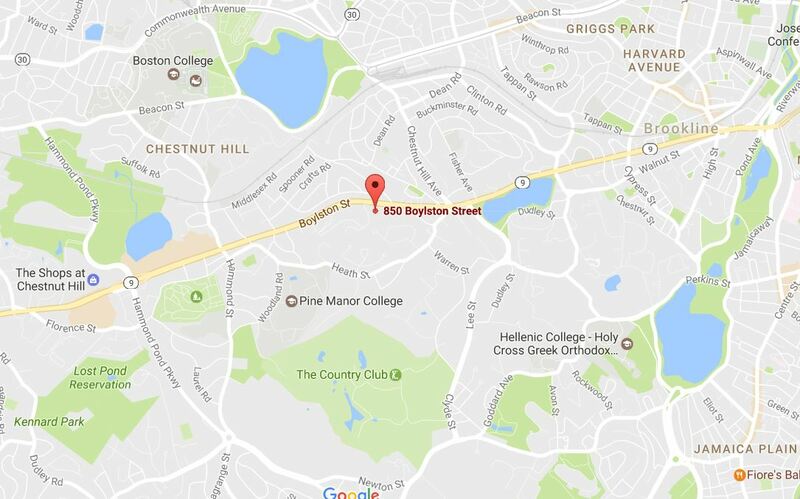 Please note that if you choose to use Google Maps to find directions to our facility, you should use the following destination address: 850 Boylston St, Chestnut Hill, MA, 02467.